Patric Bulmer has worked in the UK water industry for 24 years. He is a Chartered Environmentalist and member of the UK Institute of Water, and works as the Environment Manager for Bristol Water, the company that provides water to the UK city of Bristol. His BSc is in Geochemistry and postgraduate qualifications are in water and environmental management and he has a keen interest in the social justice and broader sustainability aspects of water. He was part of the successful bid team for Bristol to become EU Green Capital 2015 and is a member of Bristol’s Green Capital steering group, chairing the group on water in the city, and is an executive member of Climate Southwest, the organisation leading on climate change adaptation in south-west England. 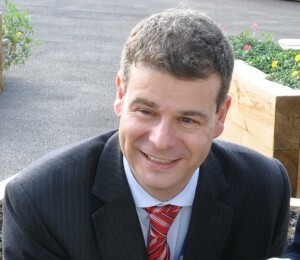 He is also a member of the Water UK Carbon Group and the Water UK Sustainability network, and his responsibilities at Bristol Water include the company’s water efficiency programmes; public access and recreation; biodiversity management and protection; catchment management; and environmental risk management.